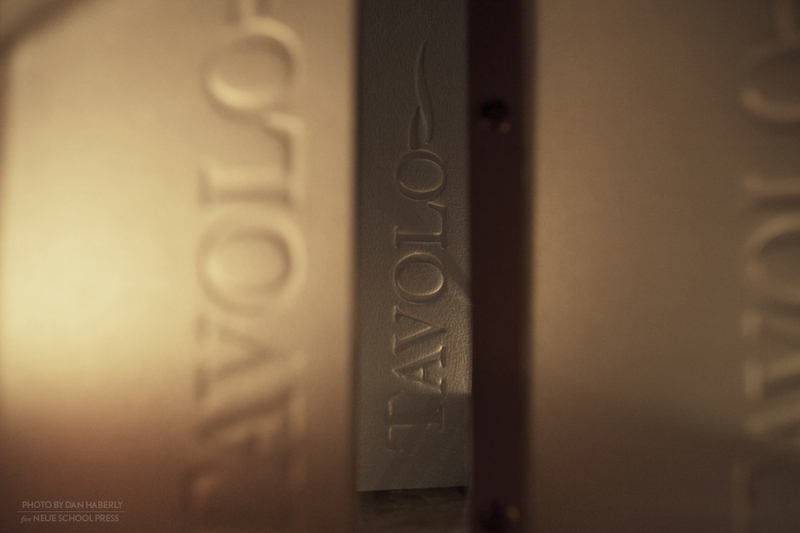 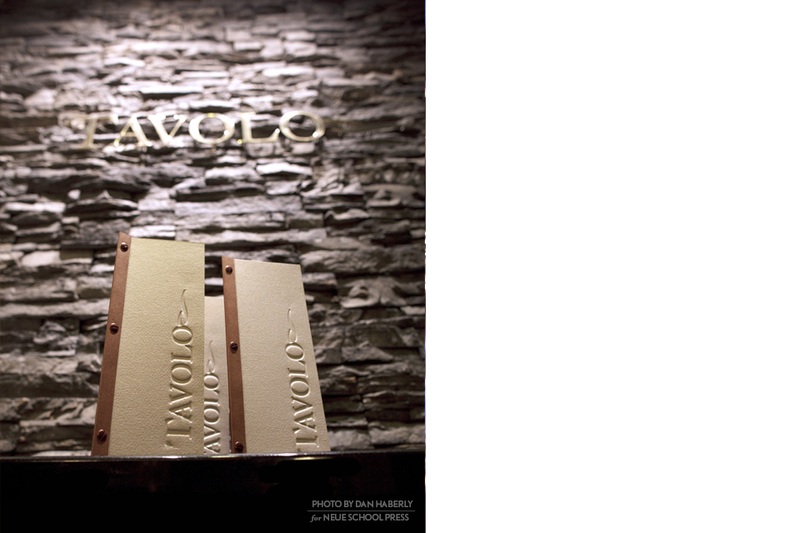 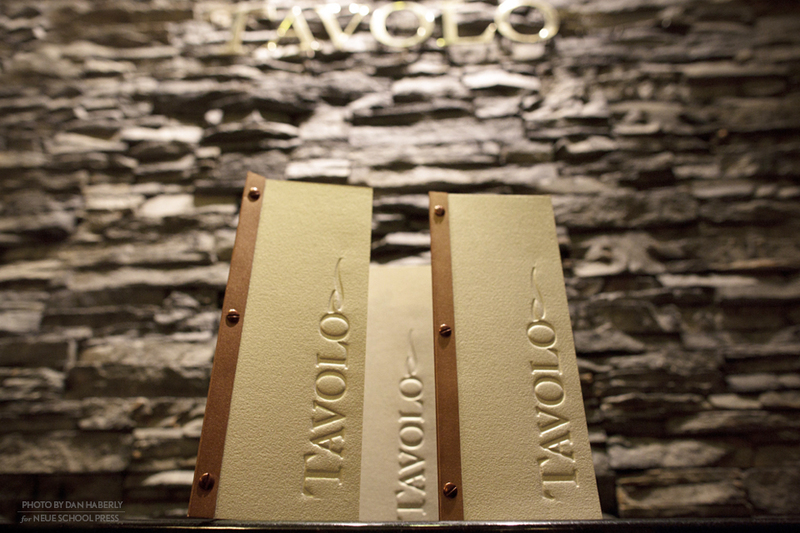 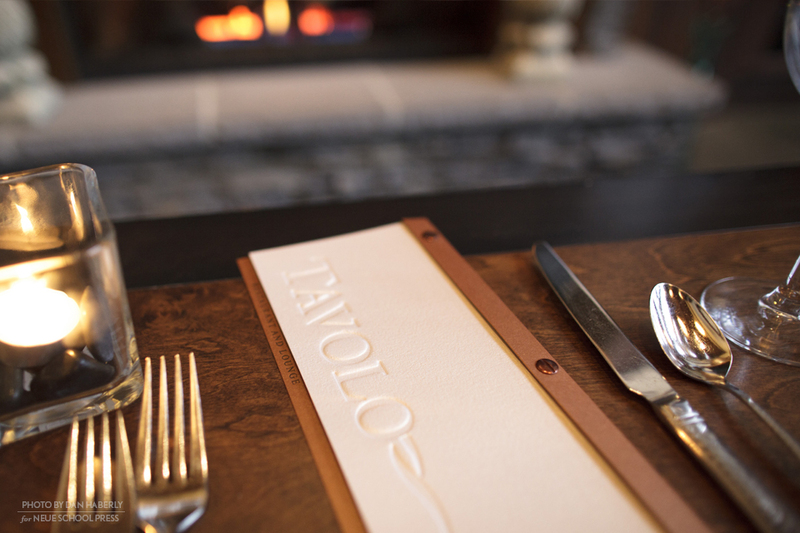 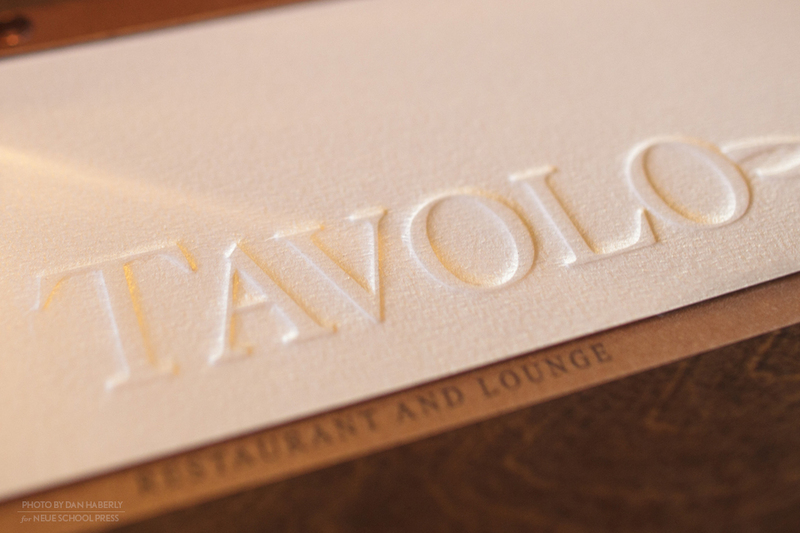 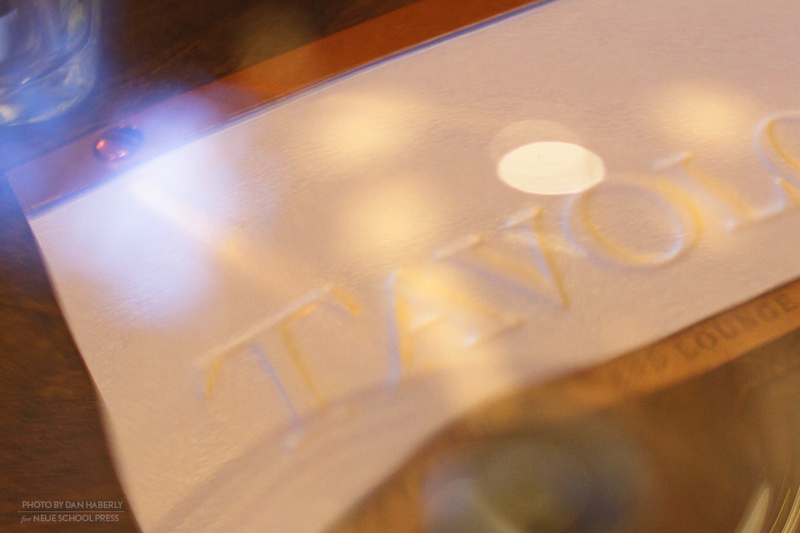 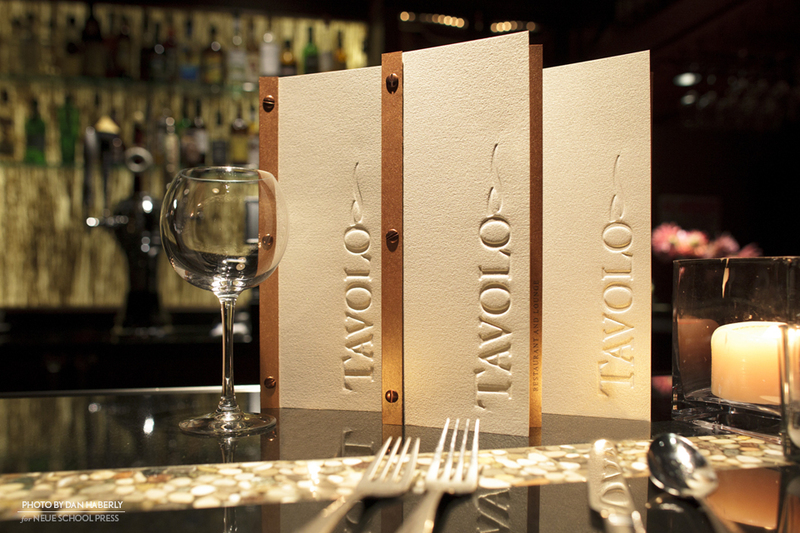 Tavolo’s menu design came out of the need to create a unique menu that communicated quality of experience, echoed the restaurant’s interior, and could easily accommodate in-house updates and menu changes. 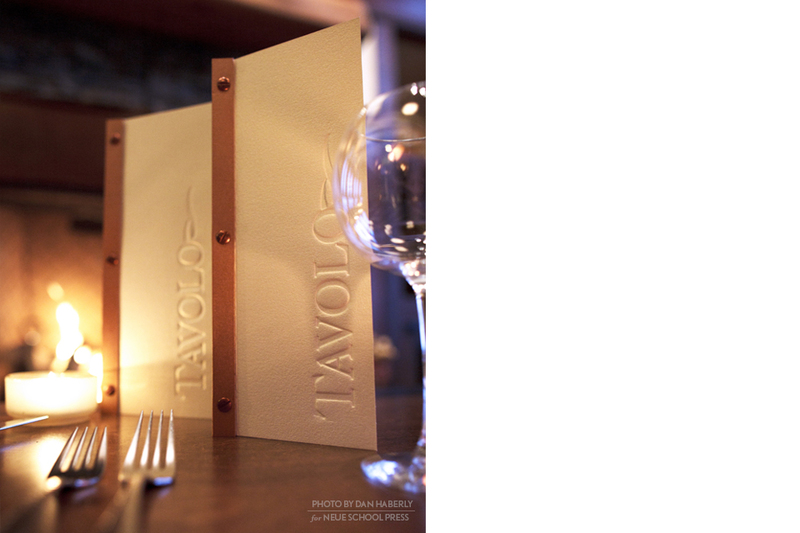 The format draws on the dimensions of a standard 8.5″x11″ sheet of paper, which could be printed in house, punched, folded and then inserted into a sophisticated cover. 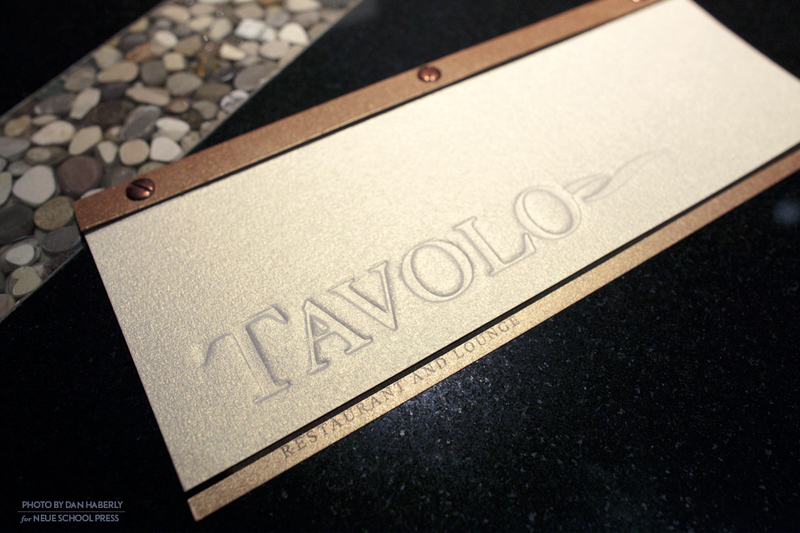 The restaurant’s logo is deeply embossed into a rich, felt textured cover stock with pearl-like metallic sheen. 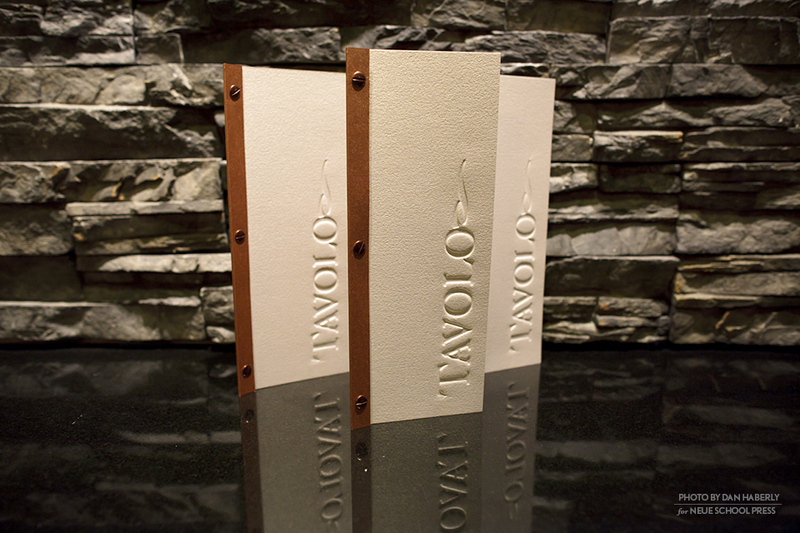 The spine and back cover coordinate in a copper metallic, while providing a nice contrast with a smooth surface. 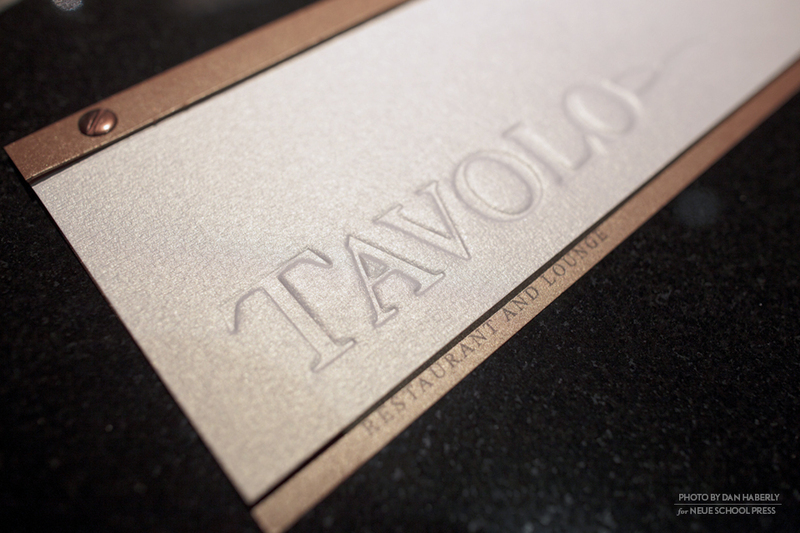 The cover is cut short, revealing a back tab printed with the words “Restaurant and Lounge”. 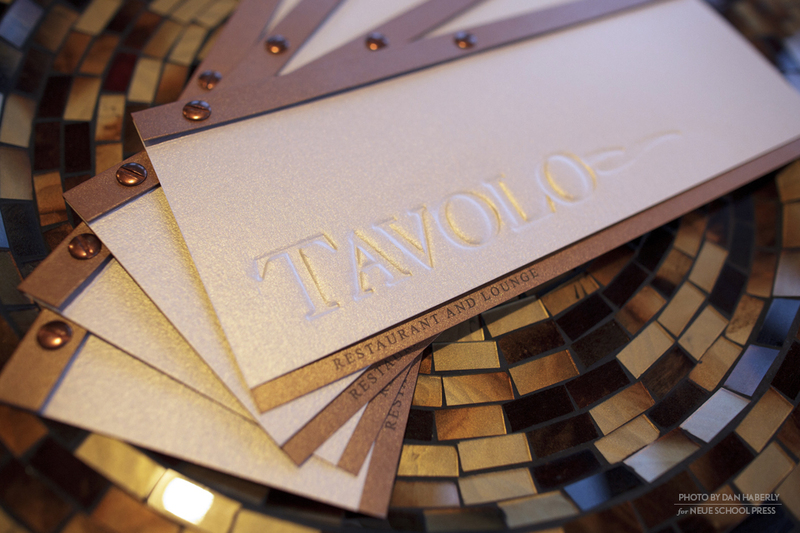 The menu is finished with coordinating copper hardware.